Beginning this January, HGTV Canada explores home building like never before in the brand new original series Timber Kings. Follow the grueling jobs and jaw-dropping experiences of the master log smiths at Pioneer Log Homes in Williams Lake, B.C. as they build massive, multi-million dollar log homes under tight deadlines and intense pressure. The drama begins on Timber Kings Sundays at 10pm ET/PT beginning January 5th on HGTV Canada. Crafting these magnificent homes around the world requires a labour-intensive process to ensure perfection for each elite client. 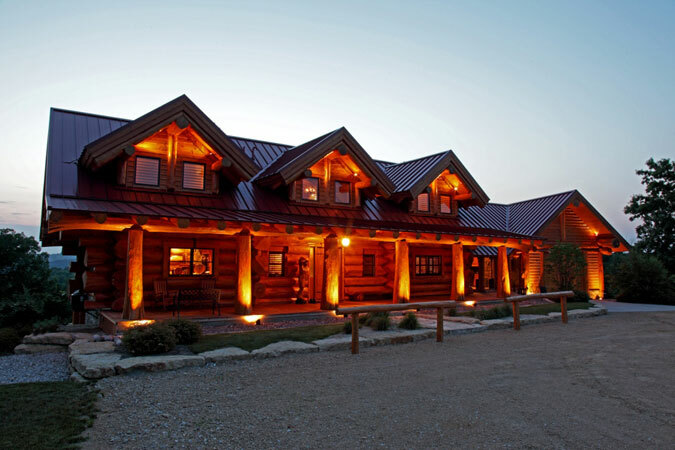 The homes themselves are all made on site at Pioneer Log Homes, with each enormous log notched by hand to fit exactly into the next. The homes are then dismantled to be reassembled at their final destination, which can be a very dangerous job as the builders need to maneuver the 2,000 pound logs in often extreme weather conditions. Add using a 20-pound chainsaw three stories in the air and the stakes get even higher. This season alone the Timber Kings crew builds homes in Germany, Scotland and on a private island in England, in addition to locations across North America. The premiere episode focuses on building a 4,400 square foot lakefront cottage in Northern Ontario where the severe winter weather puts everything at risk for the Timber Kings crew. All of the materials must make it over a series of three impossibly narrow, icy bridges before they can even begin building, putting their timelines to the test. Back at the work yard in Williams Lake, an eccentric Arkansas millionaire is in the market for a massive 1,000 year old tree to become the centerpiece of his new home for a whopping cost of $80,000, and two of the Pioneer Log Homes crew push each other to breaking points in a fight for new equipment. For exclusive behind the scenes access, full episodes after they air, photo galleries and more visit HGTV Canada Online or join the conversation on Facebook and Twitter. This entry was posted on Thursday, December 5th, 2013 at 8:26 am and is filed under National News, Upcoming Releases. You can follow any responses to this entry through the RSS 2.0 feed. You can leave a response, or trackback from your own site.